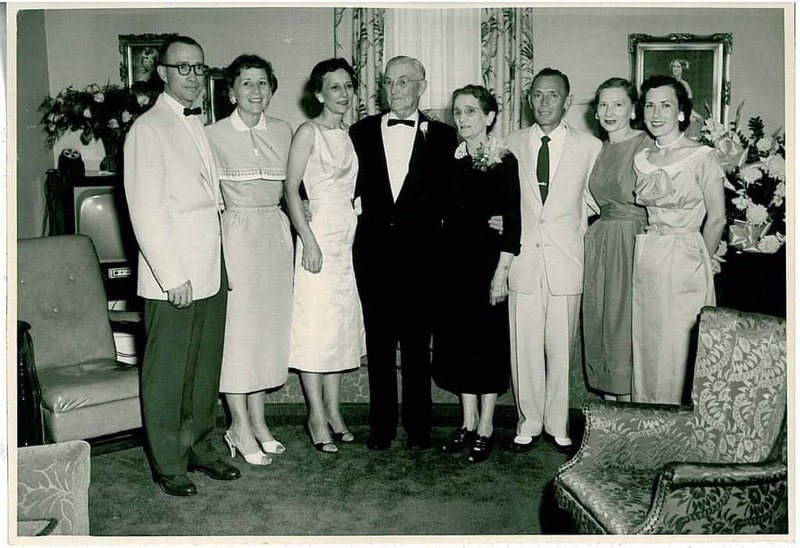 On a warm Sunday afternoon of June 9, 1957, approximately two hundred local and out of town guests visited the Lovett home for the Golden Anniversary party of H.H. and Mayme Lovett. Brooks Cross greeted the guests as Lunell Lovett kept the guest registry. Aline Lovett Saufley served the punch while Dottie Lovett, Jane Bradley, and Grace Nelson served the cake which was in the shape of a family Bible. The event became the social gathering of the year in Benton and several dignitaries from throughout western Kentucky were in attendance including Circuit Judge-elect Earl T. Osborne who had defeated Lovett in the Democratic Primary just two weeks earlier. The party which celebrated his long marriage was also a celebration of Lovett’s long career in public service. Lovett spent the remainder of 1957 wrapping up his term as Circuit Judge. On Monday, September 30, 1957, the Calloway County Bar Association held a dinner at George Hart’s cabin on Kentucky Lake to honor outgoing Judge H.H. Lovett for his many years of service. Calloway County Judge Waylon Rayburn, then president of the association, presented a gold watch to Lovett for his years of service. At the ceremonies, Commonwealth Attorney (and later Circuit Judge) James Lassister toasted Lovett as “by far one of the best and most brilliant attorneys I ever had the opportunity to work with.” The following month, Judge Lovett was presented with a gold plated briefcase in appreciation for his many years of service by the Marshall and Livingston County Bar Associations. As the 1950s came to a close, Judge Lovett officially retired from practicing law. In late 1959, he turned his firm over to his two sons, John Clay Lovett and Henry Hardin Lovett, Jr. On a few occasions, Lovett was called upon to serve as Special Judge in the Circuit Court when the regular judge was not able to preside. The Lovett Law Firm stayed intact until 1965 when John Clay Lovett left the practice and began a partnership with Richard H. Lewis. As the 1960s began, Lovett spent his retirement years tinkering in his garage, working in his rose bushes, and finishing crossword and jigsaw puzzles. 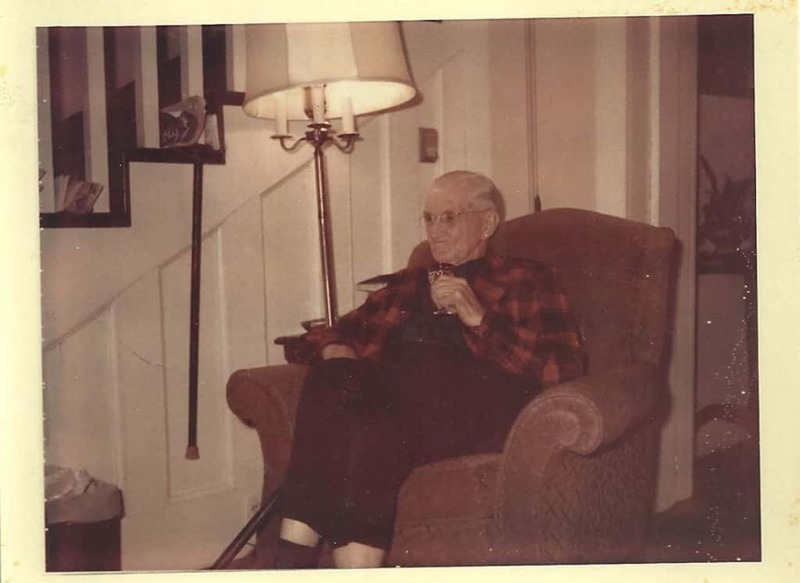 He loved watching television, too, and had one of the very first color televisions in Benton. He loved the show Bonanza because of the vibrant color of the picture and was also a fan of the quiz show Jeopardy, but he didn’t like for anyone who was watching with him to shout out the answers. Lovett kept up with current sports of the day especially basketball and baseball. He was a fan of the St. Louis Cardinals and University of Kentucky basketball team. Lovett also predicted in 1960s that football would eventually catch on in Marshall County as well. Lovett continued to fish and hunt well up into his eighties. The year 1968 was a very tragic year for Lovett as on January 3, 1968 he lost his beloved wife of sixty-one years, Mayme to pneumonia. She was laid to rest in the Benton Cemetery. A few short months later Lovett’s older sister who had raised him as a boy, Gautie Henson, passed away at the age of 93. In June 1968, death claimed a third family member as Lovett’s oldest son, Henry H. Lovett, Jr. passed away unexpectedly after an operation in Memphis. He was only 54 years old. The death of his oldest son deeply affect Lovett, one which he never completely got over. After the death of his son, Lovett went back to work to help close out the Lovett Law Firm. To help with closing out the practice, Lovett hired a young attorney Martin W. Johnson, who would later become a successful Benton attorney in his own right. Johnson recalled that even though Lovett was well into his eighties he was still very sharp in matters of law. Johnson did add, however, that he would often catch Lovett cat napping several times during the day! In late 1968 Lovett fell and broke his hip and his daughter Brooks Cross moved back to the Walnut Street home place to care for him. The broken hip required surgery to correct and Lovett ended up in wheelchair. The hip continued to give Lovett problems for the remainder of his life and he would often joke that the doctors had fixed the hip, but they didn’t give him a place to oil it when it needed oiling! As the 1960s turned into the 1970s, Lovett’s health began to steadily decline. Despite this he was able to attend the 1970 session of Big Singing Day. In December 1970, Lovett sat down with WCBL owner Shelby McCallum and Jim Freeland to record an oral history interview in which he recalled his childhood, career, and his vast knowledge of the history of Marshall County. A copy of the interview has been lodged at the Marshall County Public Library and Murray State University Library which has been a wonderful resource in the research of this project. By 1971, Lovett continued to remain active regardless of his failing health and in April 1971 he attended the practice sessions for Big Singing Day. However, when the 87th Big Singing Day arrived on the fourth Sunday in May, Lovett was in too bad of health to attend. He did, however, send a note up to the singers which was read as an introduction and the session was dedicated in his honor. At 12:35 am on Tuesday, May 25, 1971, Lovett was rushed to Benton Municipal Hospital by ambulance. At 8:25 am later that day, Judge Henry H. Lovett, Sr. passed away at 88 years of age. Coincidently, Lovett, who had spent most of his career on the ballot and held more elective offices than any other figure in Marshall County, died on the day Kentucky’s 1971 Primary Election was held. Lovett’s funeral was held at the Benton First United Methodist Church on Thursday, May 27 and was officiated by Reverend Charles Lynn and Lovett’s step-brother, Bro. L.V. Henson. Honorary pallbearers were members of the Western Kentucky Bar Association and the Benton Methodist Men’s Bible Class that Lovett taught for over a quarter of a century. Active pallbearers were Robert Rudolph, Edward Rudolph, Cecil Lovett, Charlie Lovett, and Carl Lovett. Several noted dignitaries attended the funeral including United States Congressman Frank Stubblefield. H.H. Lovett was buried beside his wife Mayme in the Benton Cemetery. Henry H. Lovett, Sr. spent a lifetime serving the people of Marshall County. He didn’t do it for fame or wealth, but because he had a deep care for Marshall County. Lovett was a do-er and came from a time when everyone rolled up their sleeves and went to work in service of their community. He was a self-made man in a time of self-made men. In all of his years of service, Lovett helped shape Marshall County and the problems faced by his generation were simple by today’s standard, but it should be noted that they only had simple tools and wealth to combat these problems. Marshall County owes a debt of gratitude to the likes of H.H. Lovett.